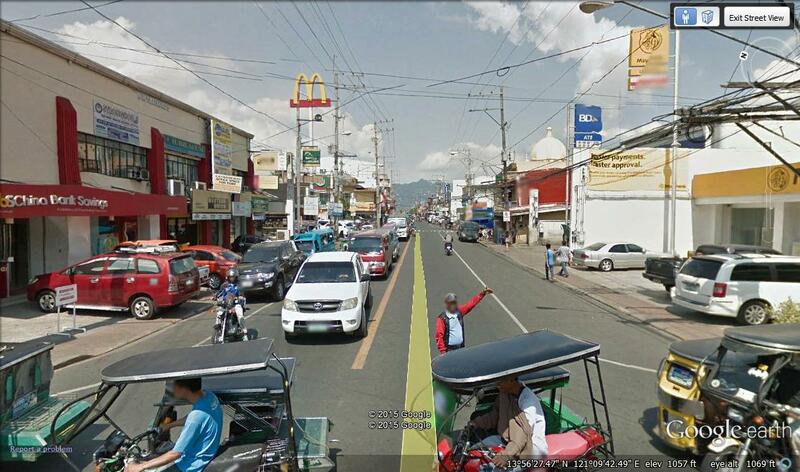 Morada St. leading to the city proper. 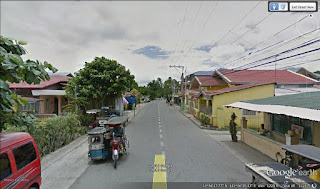 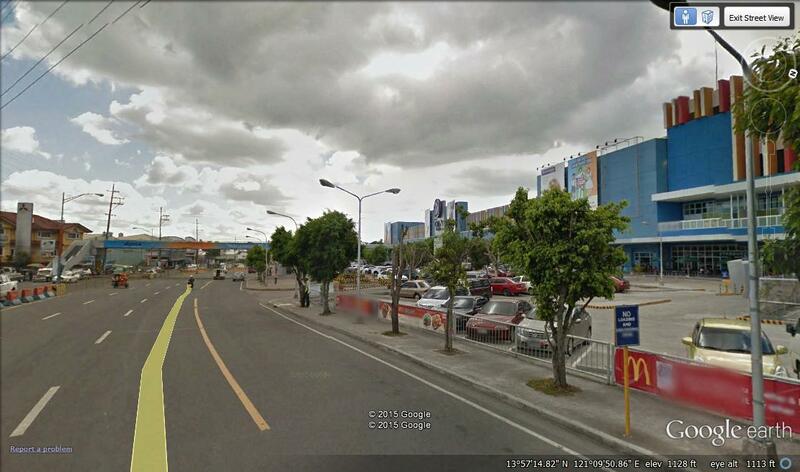 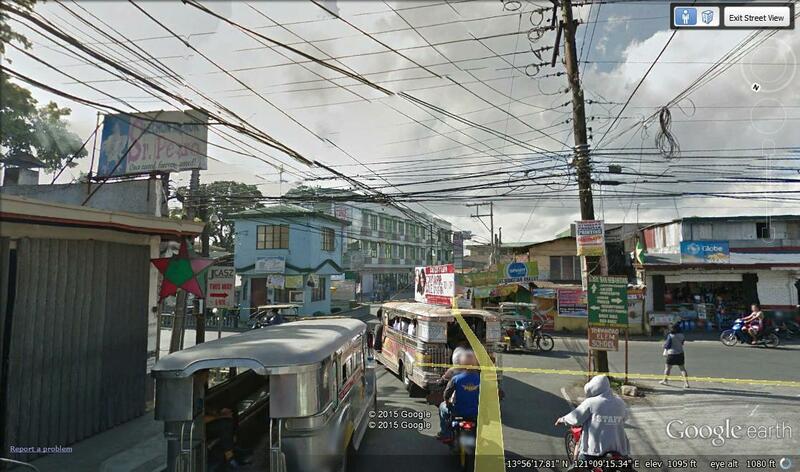 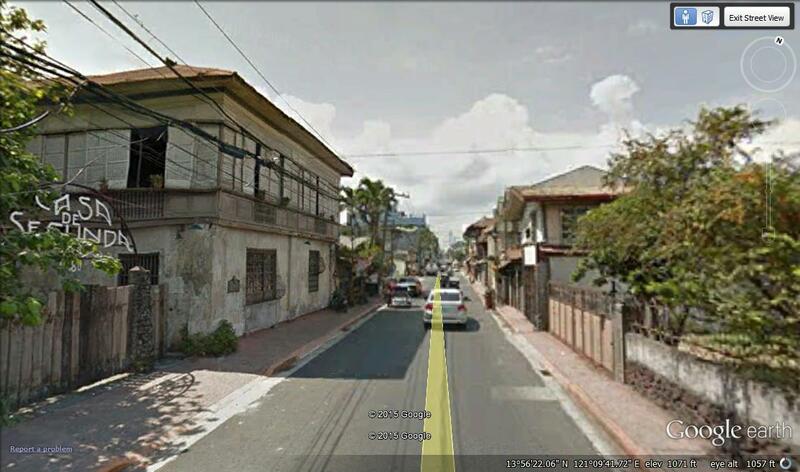 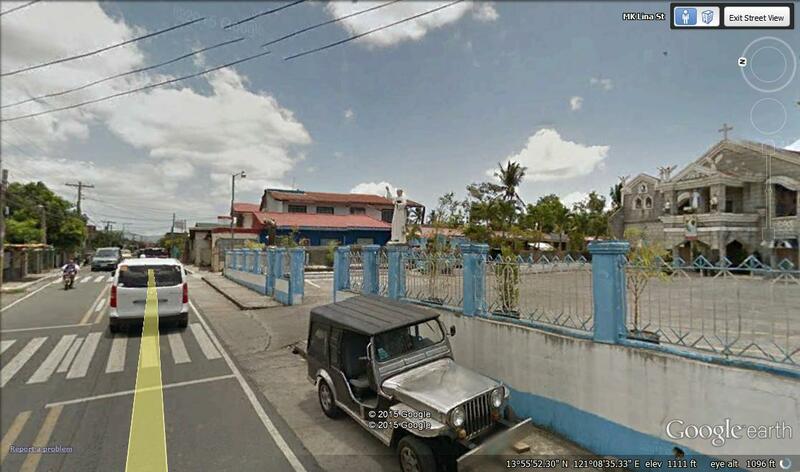 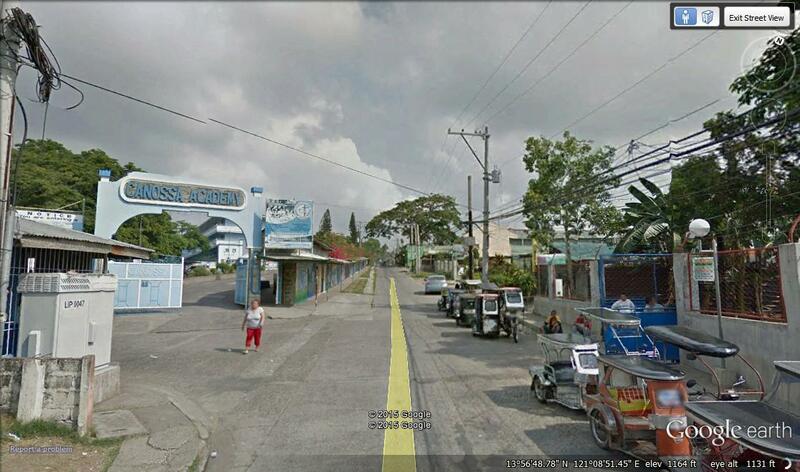 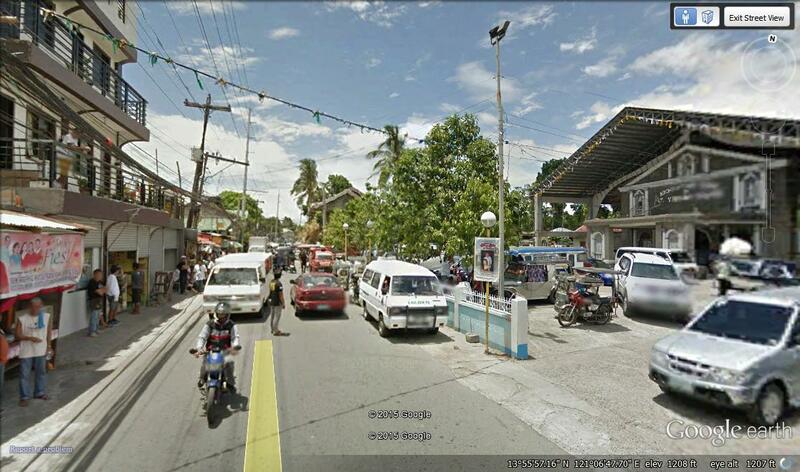 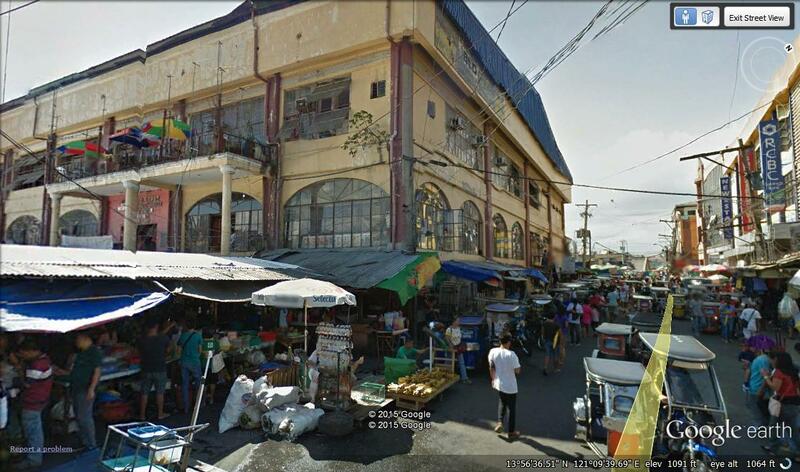 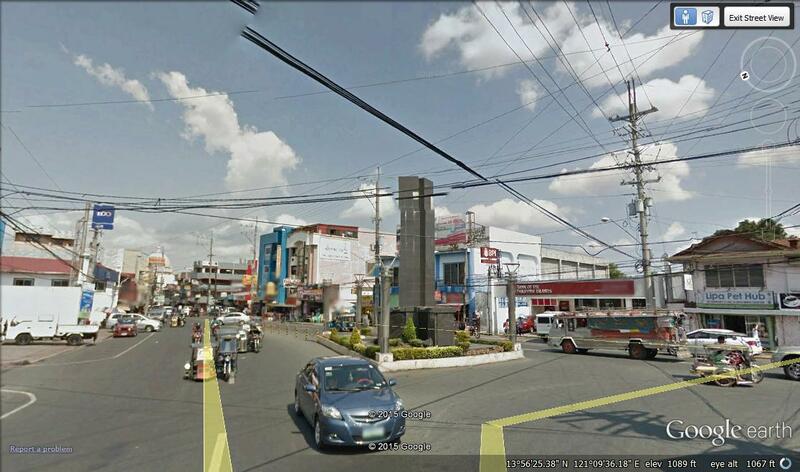 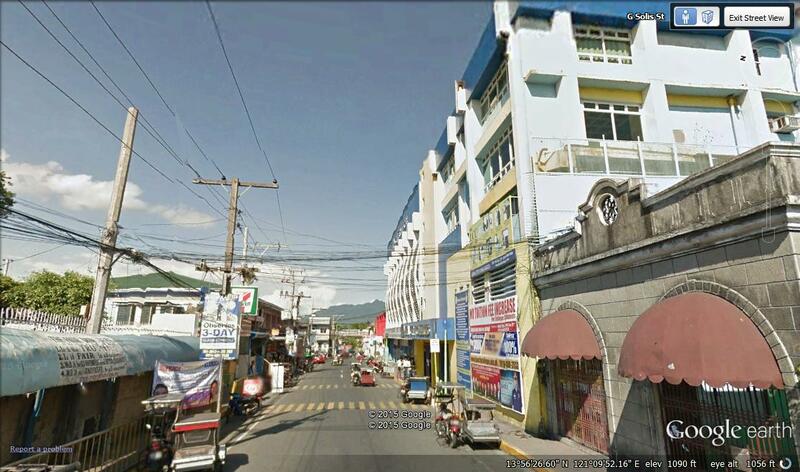 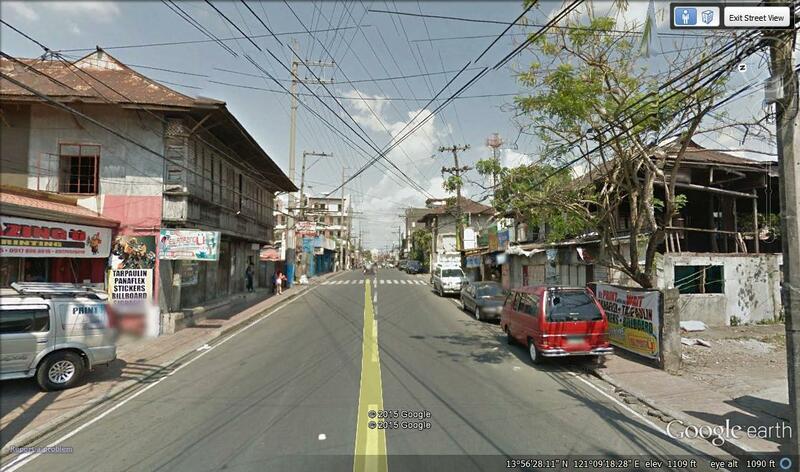 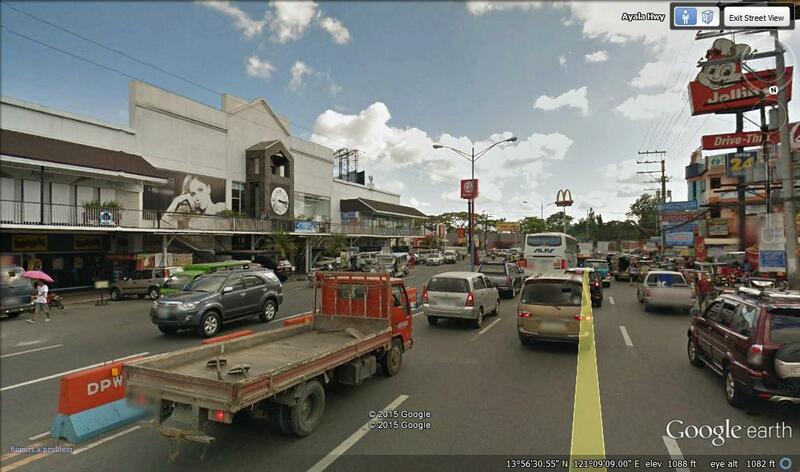 What on earth, you might say, was I thinking doing a virtual tour of Lipa City when I effing live here? 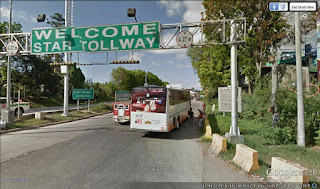 Well curiosity, they do say; killed the cat; and it is if nothing else a powerful motivator. 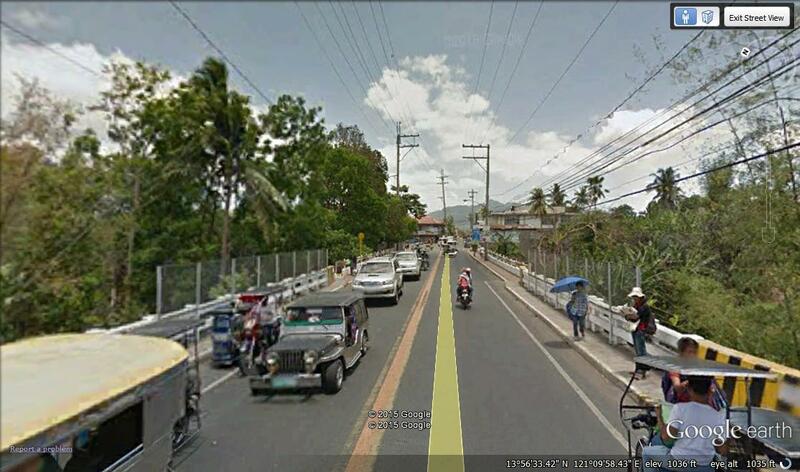 Besides, this is what you may call a lazy man’s blog. 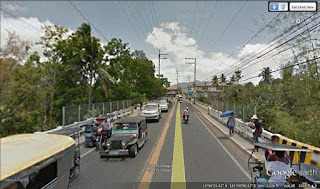 You know, the sort preferred by the literarily challenged bloggers and by most readers, anyway, because it is so much easier to look at pictures than to read. 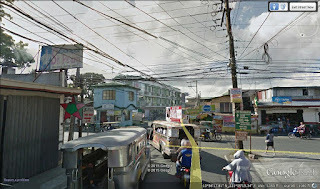 All the pictures are courtesy of Google Earth’s Street View feature; and what a royal pain it was to navigate from one destination to another because the technology is far from perfect and hogs both memory and processing power. 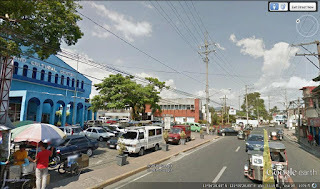 I include pictures of places that I personally felt would be of interest to readers, particularly expatriates who have not been to the city for a while. 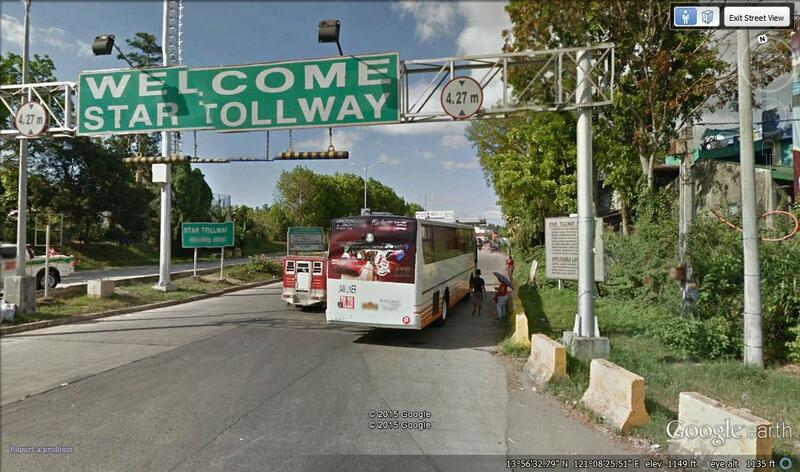 If there are locations that you wish to see but is not included, you can likely find these using Google Earth or any of the web sites offering street view services. 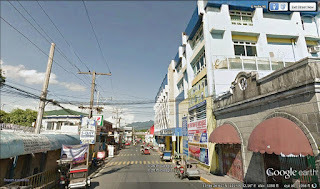 The Lipa coverage is comprehensive; albeit you need a lot of processing speed, RAM and patience. Marawoy, in front of Floral Garden. 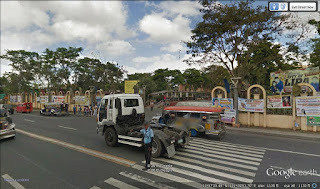 In front of the Lipa City Hall. 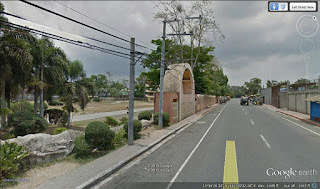 Rotunda leading to Ayala Diversion Road and Sabang. 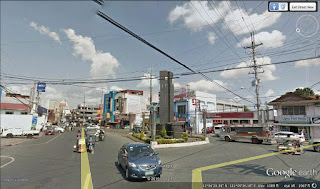 Diversion road, right in front of SM City Lipa. Diversion road, in front of the Big Ben Complex. 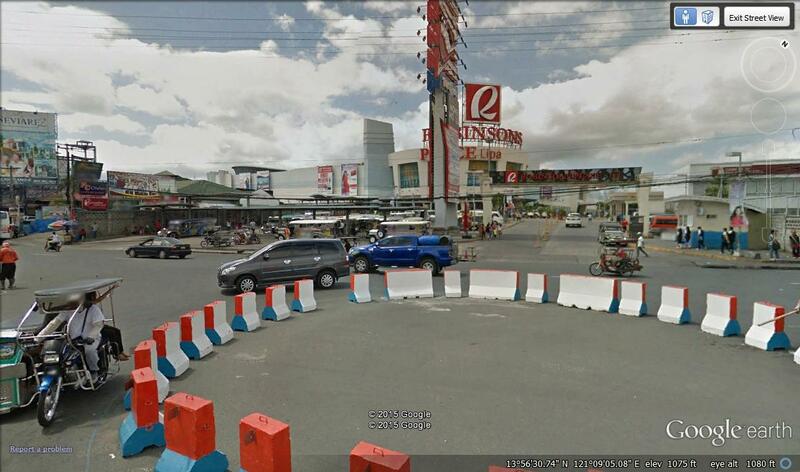 Rotunda in front of Robinson's Place Lipa. 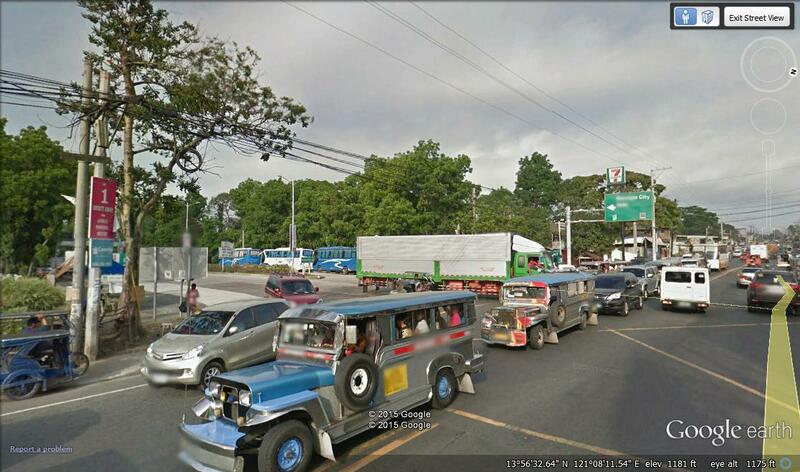 JP Laurel Highway, in front of De La Salle Lipa. 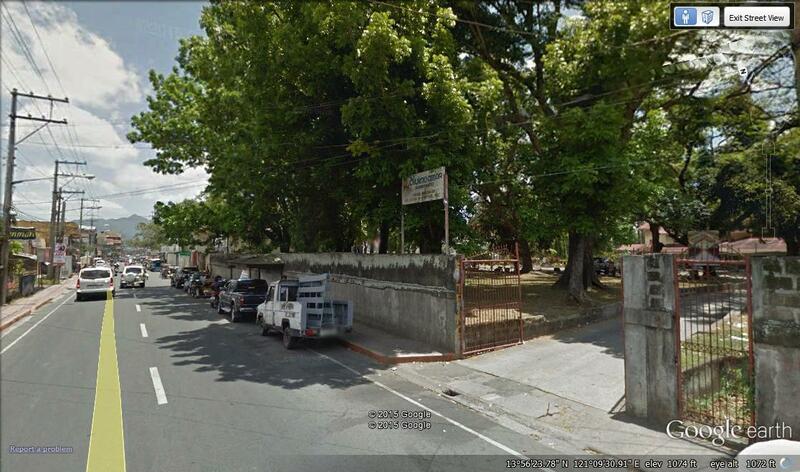 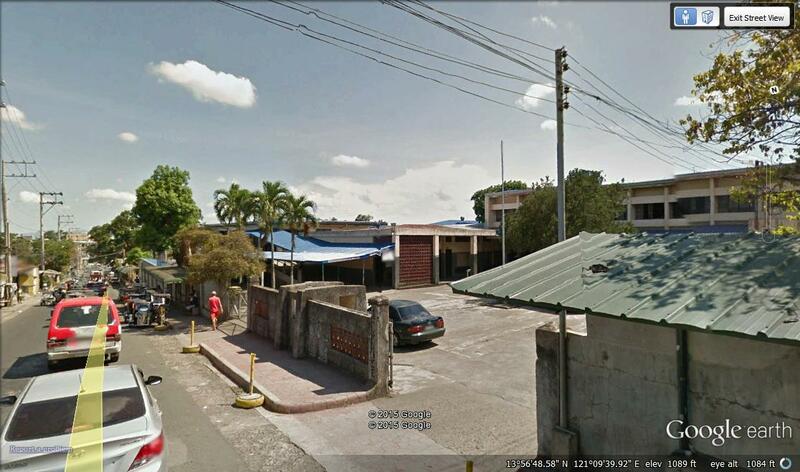 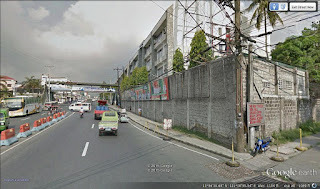 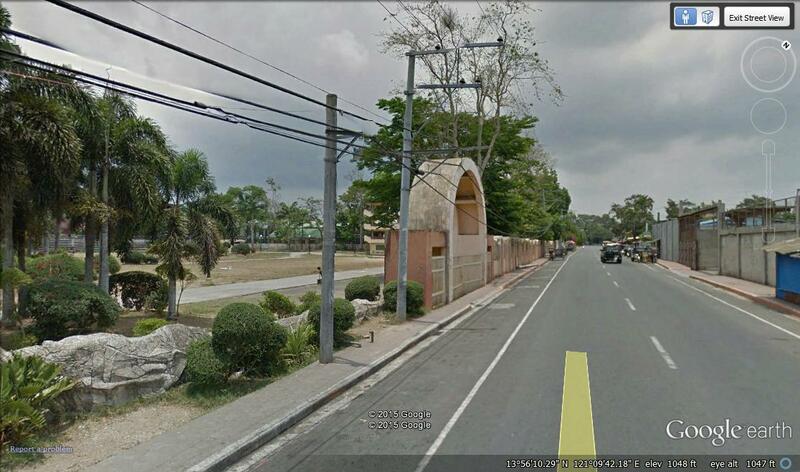 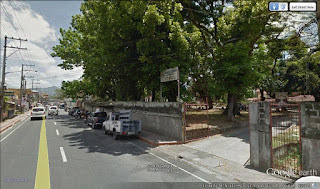 Lorenzo Ruiz Road, in front of Canossa Academy. STAR Tollway gate, Manila-bound, Tambô. 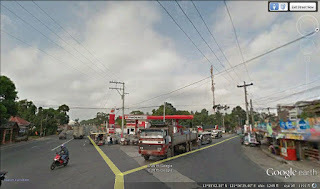 STAR Tollway gate, Batangas-bound, Tambô. 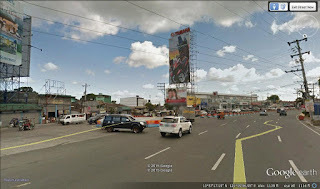 JP Laurel Highway, in front of Fernando Air Base. 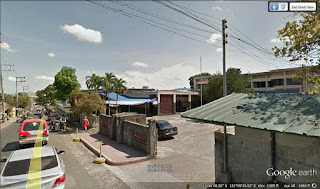 San Vicente Ferrer Church, Banay-banay. 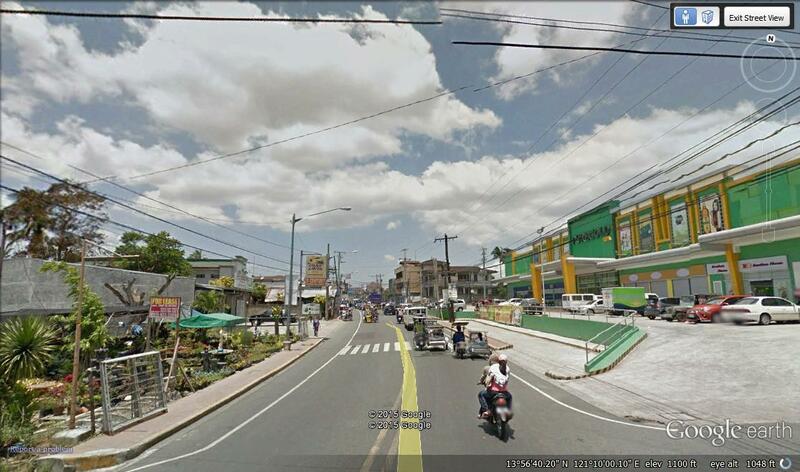 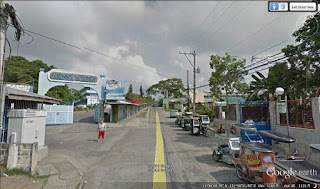 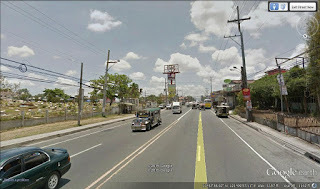 Batangas City-Lemery road junction, Banay-banay San Vicente. Morada St., in front of the Lipa City Cultural Center. 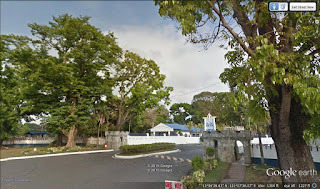 Our Lady of Peace and Good Voyage Church, Lodlod. 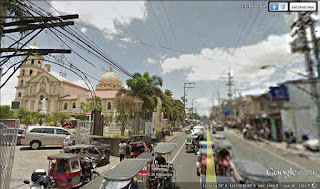 MK Lina St. in front of the Redemptorist Church. 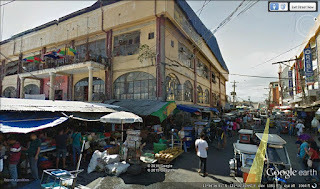 P. Torres St. Lipa City Public Market. Rizal St., in front of Casa Segunda. 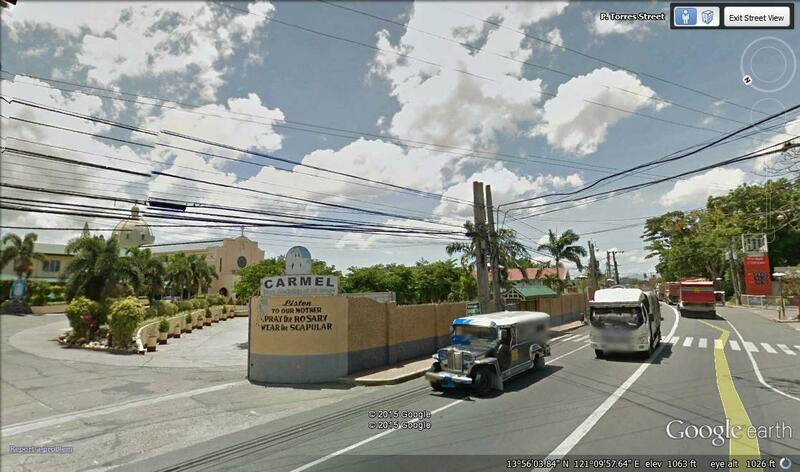 In front of Carmelite Church. 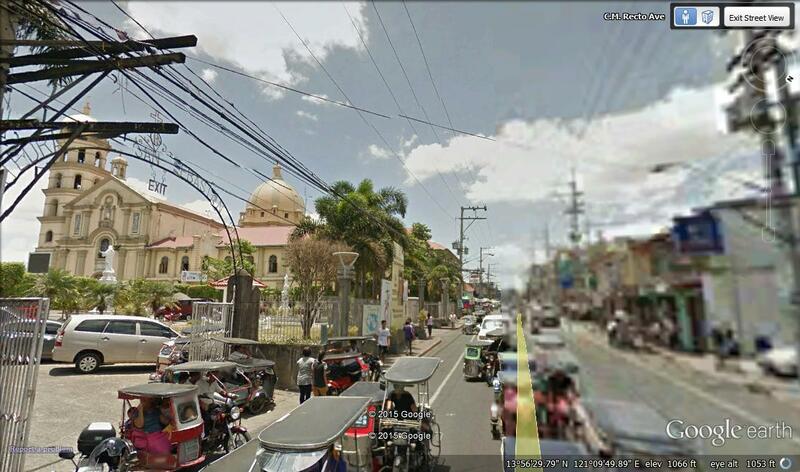 CM Recto Avenue, in front of the Cathedral of St. Sebastian. G. Solis St., in front of the Lipa City Colleges. 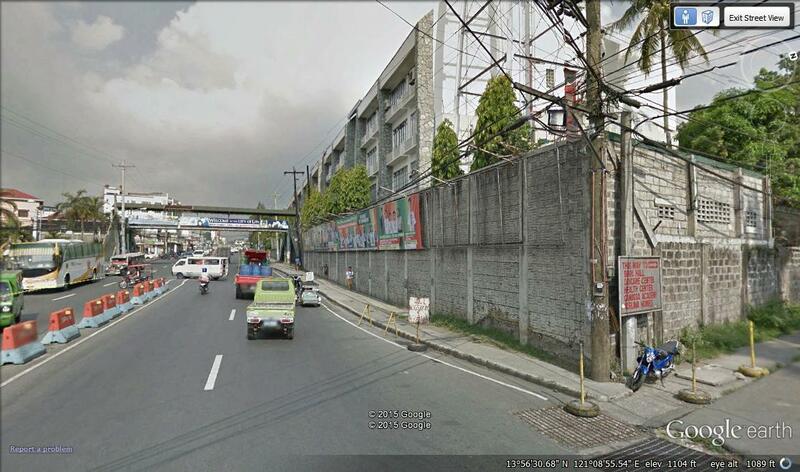 CM Recto St., leading to Sabang Bridge.